The legendary Georg Neumann M7 large membrane capsule gives this microphone its reputation for its legendary “presence”. Delivering an outstanding performance with high sensitivity and excellent signal-to-noise ratio, and well suited to instrumental and vocals in broadcast and music production. 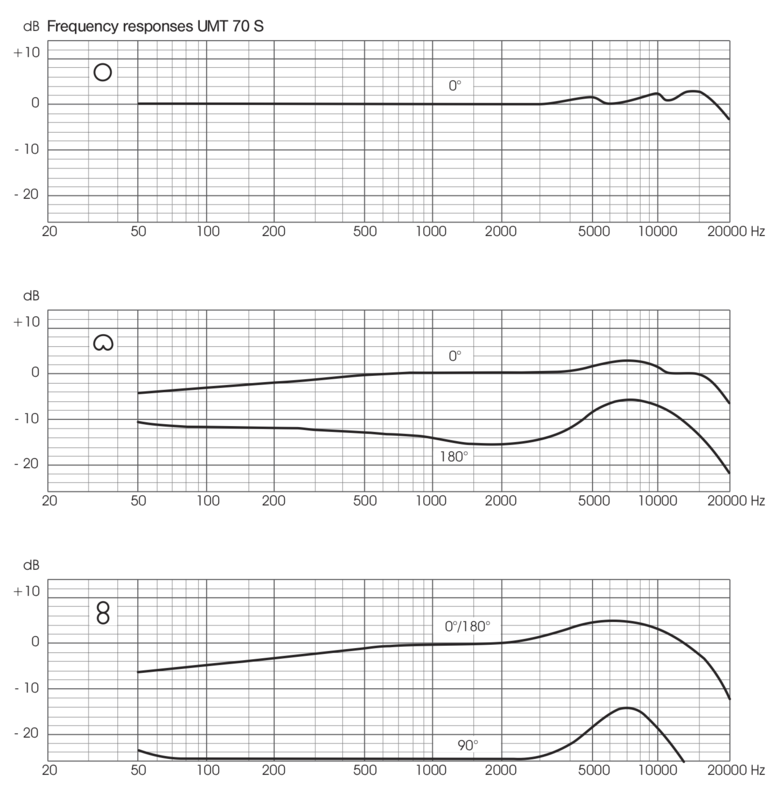 The three polar characteristics – omni, cardioid and figure 8 patterns are selected by a ring below the head grill. The transformerless circuit design with its symmetrical output stage yields superb transient response combined with high RFI rejection. 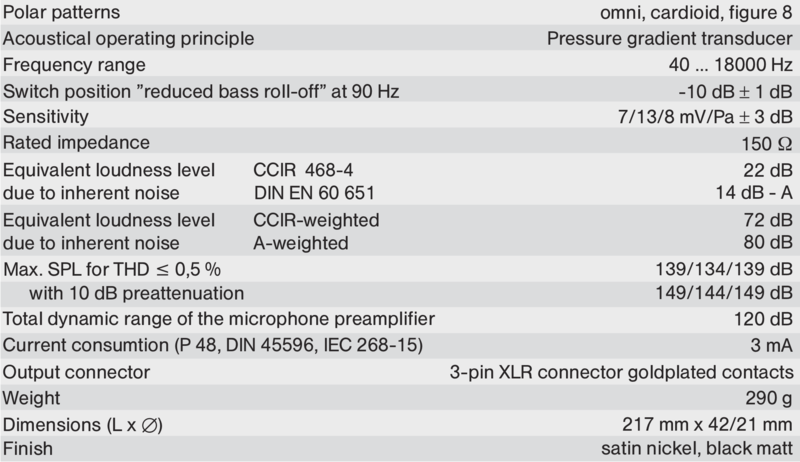 Fitted with a 10 dB attenuator switch, and a low frequency roll-off switch to reduce proximity effect when close miking in the cardioid or figure 8 patterns. 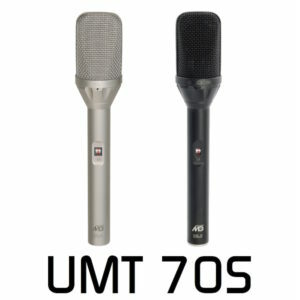 The UMT 70S is supplied without mount as there is a wide choice of mounts and suspensions, please order the one most suitable for your requirements when you order the microphone.